In My Mailbox (3) | Read Sam, Read! IMM is a meme hosted by The Story Siren (AKA the greatest book blogger ever). So, since it was Christmas week, I got a bunch of presents. The most awesome of which are my Garmin Forerunner 205 (which I’m sure about 90% of the population has never even heard of. It’s a GPS watch for running. It tells me how fast I’m going and how long I’ve gone and cool things like that. ), my new cute digital camera that my dad’s betting I’ll break in a month, and my AWESOME COOL ALMOST-NEW LAPTOP THAT I AM TYPING ON RIGHT NOW! I’m also going to get a knew phone today, woooooo. Anyway, I got a bunch of books too, yay! Thanks to my sister and my own foolish money-spending self, I got four books this week, with another bunch on the way. Great books! 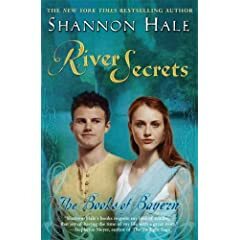 I love the cover of River Secrets. And of course the Dark Divine, I can’t wait to read that book! These look great. Happy reading! What a lot of nice presents you received. 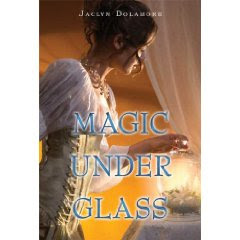 I really want The Dark Divine and Magic Under Glass myself. Happy reading! Great books! Magic Under Glass and The Dark Devine look amazing. 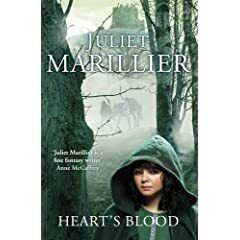 I loved Heart’s Blood! I hope you enjoy it as well! Great reads! I hope to get Magic Under Glass and The Dark Divine! Ooh, you got The Dark Divine and Magic Under Glass! I really want to read those two. I'm happy to review anything you'd like to send me, but my preferences are mostly young adult, obviously, and fantasy. (Both together are great!) Just send me an email at readsamreadATgmailDOTcom!